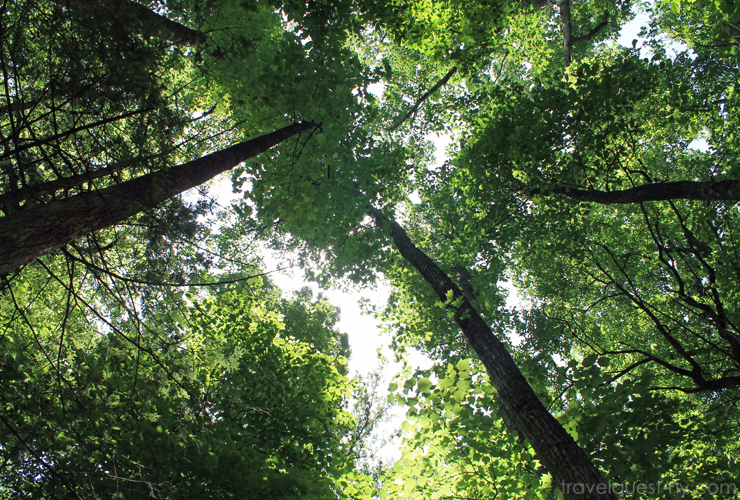 We hiked up to Hen Wallow Falls on June 18. This was a great two hour hike at least 4.5 miles round trip . Maybe, little over two hours if you take your time. The entry of the trail is beautiful. It feels like you are walking into a tunnel of beautiful greenery. 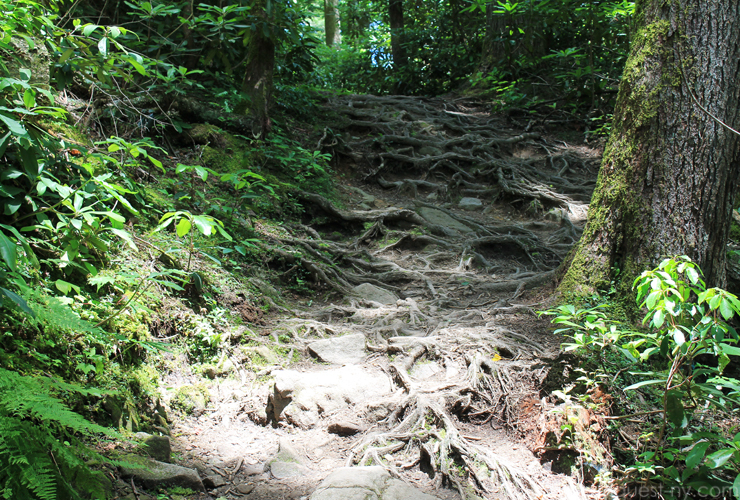 The trip to the falls is almost all up hill and very uneven (lots of roots) in parts. 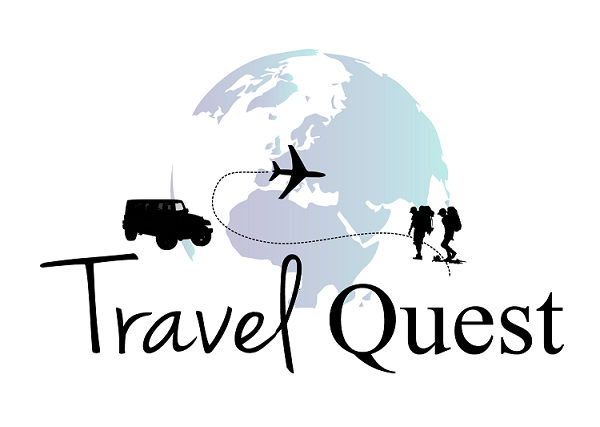 The elevation gain is just over 550 feet but the total round trip elevation gain is just over 1,100 feet. 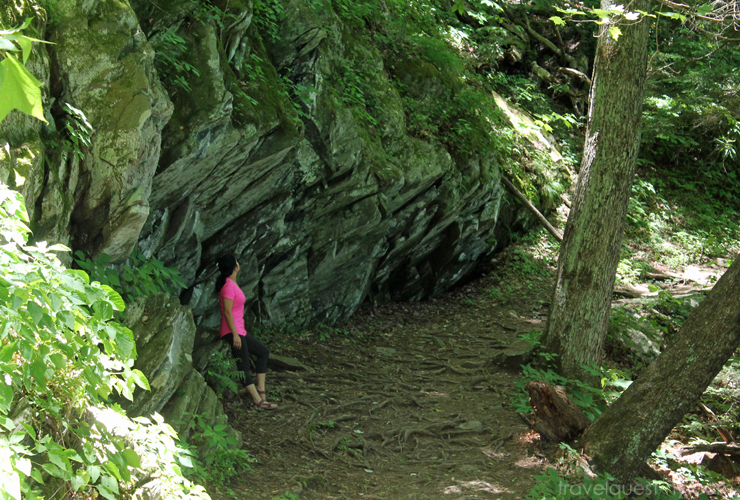 There are several places along the trail on the way up to stop, take pictures, and catch your breath if needed. 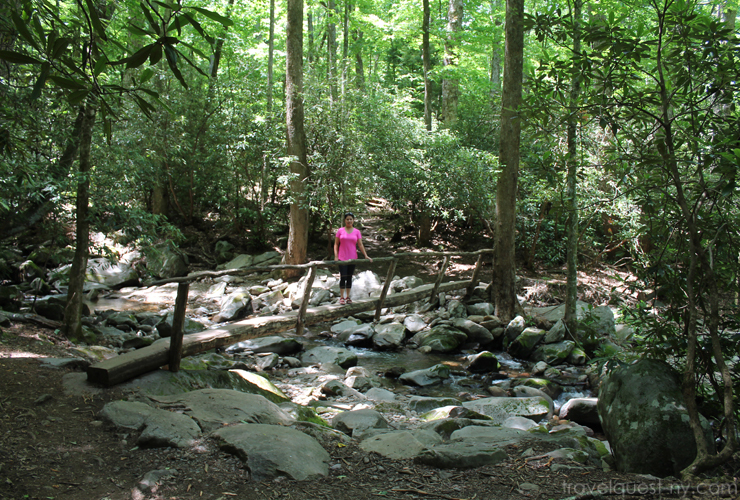 This isn't an easy hike, and it's not as popular as some of the other waterfall trails in Great Smoky Mountains National Park. The amount of water flows at the fall is depending on the time of year the amount of recent rainfall, still can be a very enjoyable experience. We brought snacks with so we were able to hang out at the base of the falls for awhile. 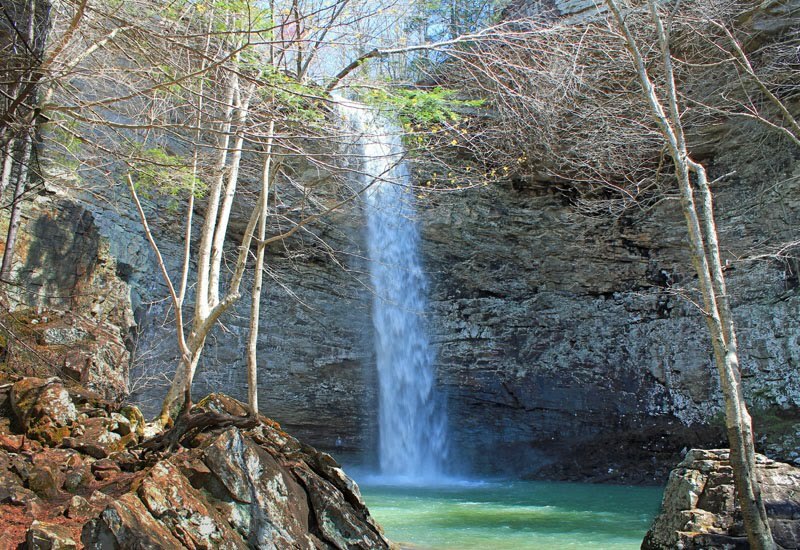 If you are looking for a short day hike to a waterfall away from the crowds this trail is a good choice. 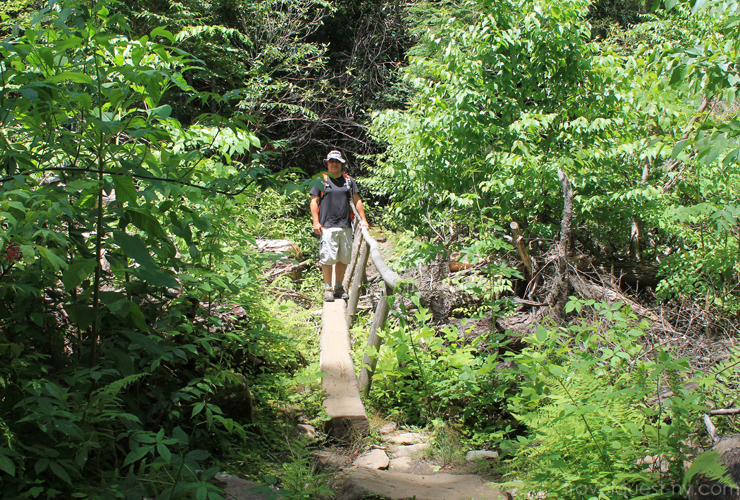 Here's one of the tree bridges on the trail. This trail has lots of roots and stones so be careful. Taking time and admiring the beauty of mother nature. 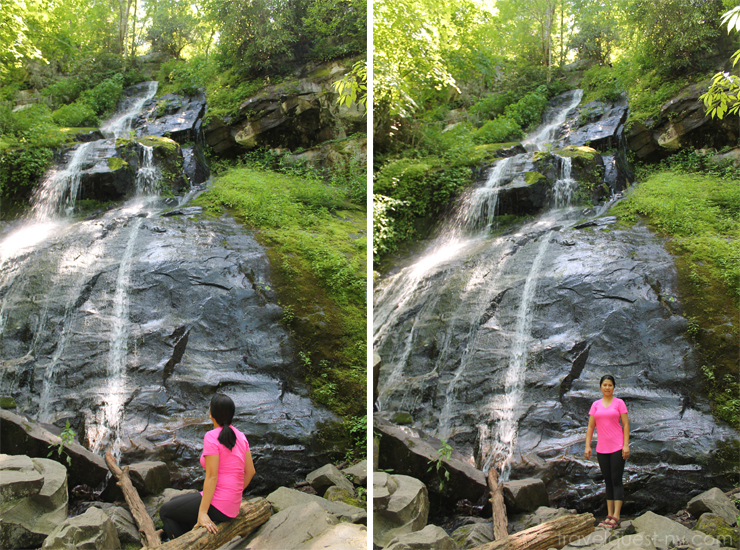 This waterfall is more of a steep cascade than a fall, but it is very pretty and rewards all who make it.